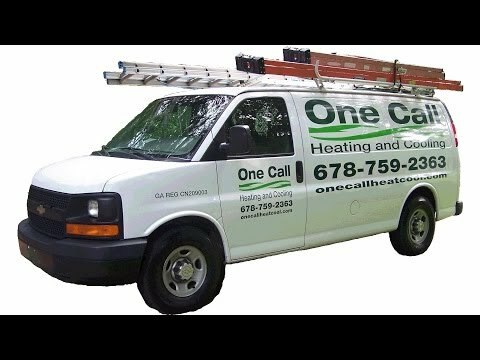 One Call has over 20 years of experience to troubleshoot all furnaces from residential to commercial and includes gas, propane and electric. We will troubleshoot all brands including: Goodman, Carrier, Bryant, Lennox, Rheem, York, Payne, Trane, Heil, Comfortmaker, Ruud & Amana just to name a few. In the greater Atlanta metropolitan area most furnaces are gas, propane or electric furnaces. We suggest you review our video in the upper right hand corner to cover the most common furnace troubleshooting problems that the owner should be able to handle. More complicated problems such as troubleshooting the furnace blower motor are not covered at this level. Your HVAC system is one of the most expensive systems in your home and potential safety issues exist in providing further troubleshooting guidance. For the comfort and safety of your family it is recommended that extensive troubleshooting is left to trained and insured specialists with the experience necessary.